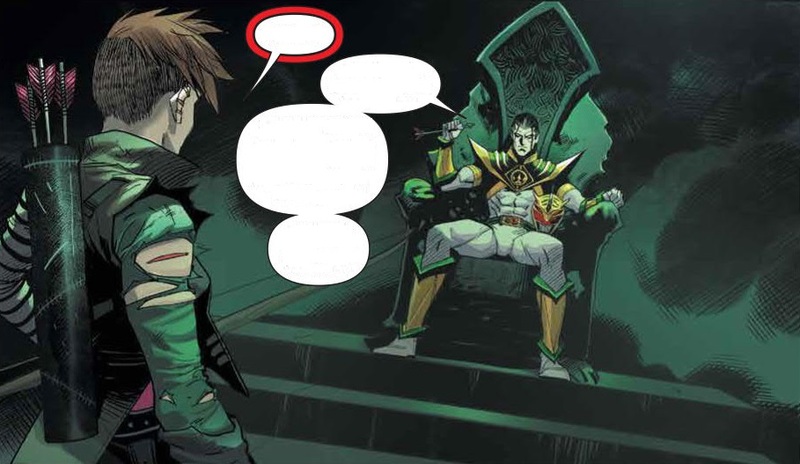 Shattered grid continues to wind down its dark path with the Ranger Slayer, AKA Future Kim choosing to to finally follow her own path. In a flash back we see how she came to serve her evil master and we finally understand what happened to her. This really got me, because it just shows how tragic this future truly is, it helps explain why she is so brutal in her methods and why she behaves the way she does. We can stand by and judge her all we want but let’s face it, could we do any better? While future Kim is doing some serious soul searching we get to also see the Rangers, in their earlier days, we get to see why these kids where picked to do what they do best. They are caring, understanding and determined to do what is needed no matter what. This all comes into play when they have to go up against not one but two giant monsters. A not so unexpected heroine comes to their aid in the most epic way possible, trust me I did not see this one coming. In the end we see that the younger Rangers acting as a force of positive change on the jaded and broken Kimberly, one that helps bring her back to the light. Rounding out the issue an old friend returns to help tip the scales towards the side of good, while the Rangers are left with a hard choice to make. Once again I am very pleased that Boom! have continued to bring the original Pink Ranger to the forefront of many of their stories, they took a character that the writers left a little bland and made her into one of the most well defined and likeable characters of the last few years. I will be rather saddened when this saga ends, though Boom! have promised us big things in the pipeline.